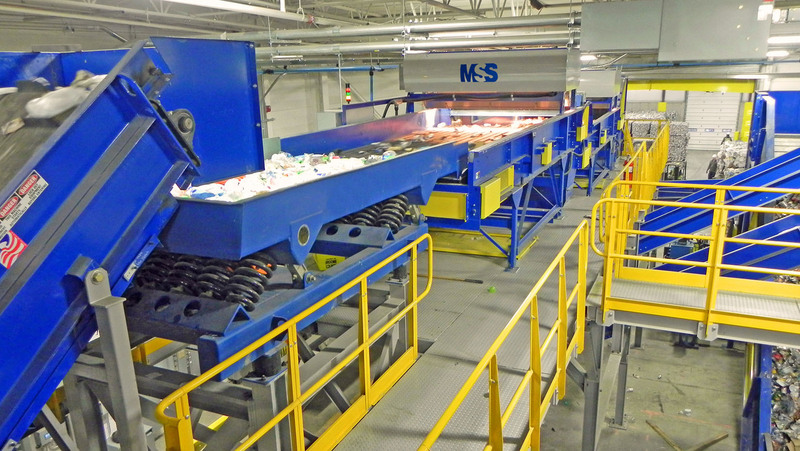 MSS prides itself on providing automated optical sorting solutions to all sectors of the recycling and waste management industry. Our innovative se nsor recycling technologies provide an array of recycling businesses, with the opportunity to increase efficiency, throughput and, ultimately, the bottom line. 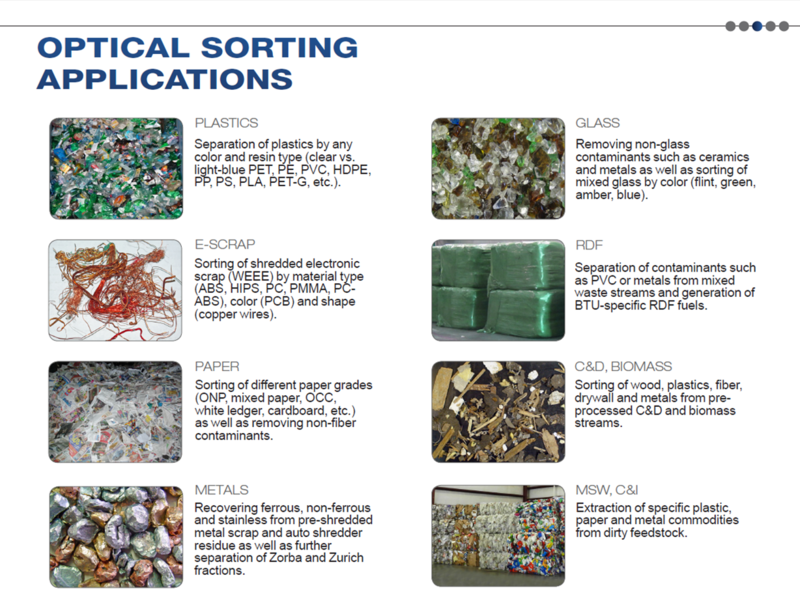 Whether you are a processor or recycler of single-commodities, such as plastics, paper, glass, wood, metals, and electronic scrap, or if you are an operator of a facility for mixed materials such as dual-stream, single-stream, MSW, C&D, C&I, etc., we have the solution for you, automatically! All our optical sorters are available in a variety of sizes, depending on your needs. They can be equipped with a second air-ejection array (dual-eject) to generate three output fractions from one input stream. Furthermore, we can upgrade each of our optical sorters with an all-metal detector to remove any unwanted ferrous, non-ferrous or stainless steel contaminants. Using a “split” configuration allows our customers to process to parallel stream at the same time on one machine simultaneously. Our color touchscreen user interface is the most intuitive in the industry by providing sort setup flexibility by the touch of a button. It provides remote access via modem or Ethernet connection. Processing and sorting statistics are generated automatically and can be downloaded into spreadsheets and databases by the user. Contact us today to discuss your project!